In recent years Defined Contribution (DC) pensions have rapidly established themselves as the future for UK companies and their employees. While DC has ‘come of age’, there is still a lot of work to be done to ensure that DC delivers better outcomes for members. Join our half-day conference on Wednesday 5 June, where we will bring together a range of DC experts and industry figures to discuss and debate how DC should evolve for the benefit of everyone. 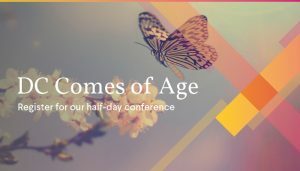 LCP Annual Pension Conference - our flagship event. Join us from 8.30am to hear Bob Scott open proceedings. Formal lunch served at 1pm. Save the date and a full itemised agenda will follow soon.